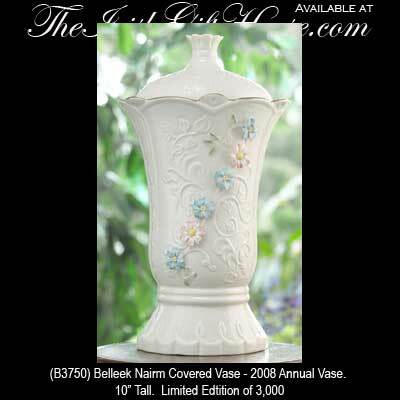 The nairm covered vase is a flowered china design from Belleek. The Belleek nairm vase is a flowered sculpture with individually applied petals along with a lid. The fine china Belleek vase measures 10" tall and as the 2008 annual vase it is limited to 3,000 pieces.